With Easter coming up, and the Anzac Day holiday on the Tuesday making it a longer break than usual, you need to read an absorbing book that perfectly suits the season and its deeper meanings, even if you're not a person of particularly Christian views. Provided the book you chose is absolutely exceptional. Let me wholeheartedly recommend The Book of Rachael by Leslie Cannold. Cannold is a well-known, highly regarded Australian ethicist, columnist and humanist who has written a few non-fiction books but never fiction. I've always liked her perspective on things - the sorry state of Australia's abortion laws, for example - but, frankly, I was a bit hesitant about picking up a mature public intellectual's first piece of fiction. It reeks of the publisher letting her have her way just to keep her on its list. And there have been so many examples of non-fiction authors just indulging a whim, having a go, and turning out quite second rate stuff. But this is certainly not the case here. In fact Cannold has written a seriously good novel - in fact, one of the best I've read for a long time. 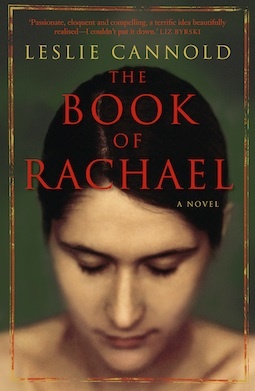 It's the story of Jesus' youngest sister, Rachael, who is smart, edgy, courageous and fascinating. The larger story of Jesus (Joshua in the novel), his family relationships, his friendship with the political radical Judas Iscariot (Judah) whom Rachael marries, his love of Mary Magdalene (Maryam), his three year mission and all the gathering forces that propel events towards their final, dramatic resolution - the whole tale we think we know has been re-imagined by Cannold in an utterly enthralling and powerful way. This is grounded, realistic stuff. The Jews of Jesus' time come thrillingly alive: their politics, their culture, their food, their medicines, their blindingly ignorant superstitions and prejudices, their cruelties to each other and to their women in particular. And Cannold succeeds in bringing the key events of specifically Christian belief, the crucifixion and the resurrection in particular, into sharp, dramatic focus without resorting to easy cynicism or cloying piety. Frankly, I didn't expect to be able to say this, but this novel is a major achievement. It is seriously good, and exceptionally well-written.